We often re-edit theses and essays that has been proofread by other proofreading companies. Most proofreading companies fail to comply with the OSCOLA or the Blue Book when checking your referencing and thus your thesis cannot proceed to an oral examination. Other common reasons for rejection are the incorrect use of legal terminology, poor arguments/analysis and an overall lack of coherence. We are specialists in the editing and proofreading of all types of academic documents related to the law including theses, dissertations, abstracts, research proposals, journal articles, conferences papers, essays, writing samples, legal opinions and reports. Subject Matter: Experience has taught us what makes a good thesis and what doesn’t. Our law professors have taught many law students, written many exams, essays, articles and reviews. Our professors have edited and proofread many theses on different topics. So, over the years our professors have built up a significant base of knowledge and experience across a broad range of areas. Most proofreaders simply read your work and correct obvious spelling and grammar errors. They have no idea whether your terminology is correct and they will not even notice incorrect word choices. This is especially important if you are an LLM or a PhD candidate who speaks English as a second language (ESOL). You cannot always discern the correct word for a particular legal context since you are not completely familiar with English legal terminology. Even specialist translators sometimes choose the wrong word for a particular legal context because they are translating – they lack the knowledge about the law in English to choose the correct terminology for the correct context. Our proofreaders teach abroad spectrum of subjects including public international law, private international law, comparative law, international criminal law, international commercial law, company law, commercial transactions law, tort law, contract law, property law, terrorism and law, cyber-law, cyber-terrorism, immigration law, nationality law, jurisprudence, sociology and law, civil procedure and criminal procedure. It is very important to make sure that there is not a trace of plagiarism - consider that the university will run your work through a plagiarism software checker. If it turns up significant 'matches', your application is not going to get far. We will be able to tell you if your thesis can pass that test or not before you submit. The standard of editing & proofreading services our law professors carry out is what your examiners are looking for. Hence we are so confident that you will pass that we are willing to guarantee it. 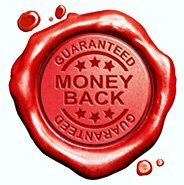 So if your document rejected because of the quality of our editing and proofreading, then yes we will offer you a Full Refund. Anyone who is fluent in English can be a proofreader, right? Well, actually, that’s quite wrong. Some people think they can proofread simply because they have strong English skills, or they have a university degree. Don’t be tempted to send your LLM or PhD thesis, your essay, your research proposal, your conference abstract or your law review article to someone who merely has a university degree and is fluent in English. Academic legal writing should only be proofread by a law professor, unless you only want a spell check.